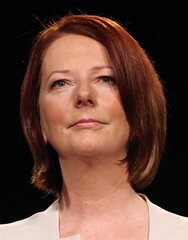 Alan Jones of 2GB discusses the AWU (Australian Workers Union) fraud which implicates Julia Gillard. To listen click here. This entry was posted in Uncategorized and tagged 2GB, Alan Jones, Australia, Australian Workers Union, AWU, corruption, Craig Thomson, Credit card, deceit, fraud, hypocrisy, Julia Gillard, Radio by renaissancelearningfoundation. Bookmark the permalink.